We love the attitude and style of Mix-it-Up! in Coeur d’Alene, Idaho. The owner, Jan, has a wonderful sense of style and a passion for homes, gardens, and life! We’re so happy to have been added to their store and proud to call them a partner. Take a minute to explore their store and website at http://www.mixituphome.com/! I’ve been in the retail industry for over 30 years, ugh, I hate to even admit that fact… makes me seem older then I think I am. I’ve had the opportunity to work as a Buyer for Nordstrom and a Product Developer with Nike. Both iconic companies, leaders in their industries and a great places to learn the TRADE. We opened MixItUp in 2009, a time that few retail stores were actually opening new stores – we were in the midst of the Great Recession! But we had a vision and a plan. We wanted to open a store that people would walk into and go.. “ohhhh, I love this store, it feels so good”. After years in the apparel industry I was ready to go where my passion was … home and garden. So MixItUp was born – a home and garden gift store, a place our customers could go to find inspiration for their homes, gardens and life. We built a place you can walk into and take a deep breath and want to stay awhile. Where everything that is there is there for a reason. And since Coeur d’Alene is a tourist destination, a place where locals would bring their friends and family and say … ”this is my favorite store, let me show it to you”. We choose products that speak to us. They have to have a story to tell… a story we can repeat to our customers. Our store is filled with fair trade items, products that create livelihoods for underprivileged folks, Items that will just make you smile. Absolutely every product in the store is there intentionally. The merchandise helps us to open conversations with our customers. 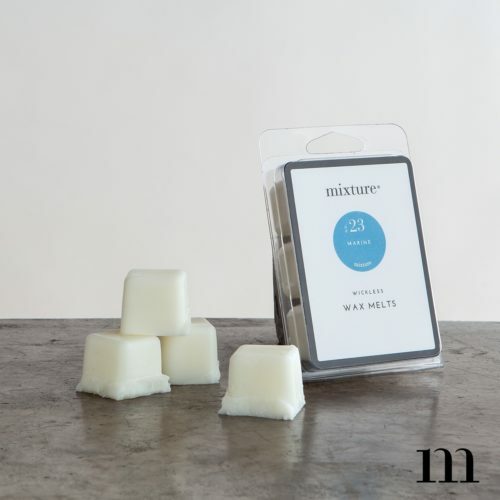 For example, when a customer is looking at our Mixture candle table, we say… “these adorable little candles will turn you into a candle snob, you will not want to burn anything else! They burn for over 20 hours, they are handmade, and burn clean using a soy based wax and come in ALL these fragrances. At the end of the day you have a great flower vase or a 2 oz shot glass!”. We started selling Mixture candles in 2013. I was NOT looking for another candle line, but I was given a sample of the 2oz Mixture votive candle and took it home. I was having a small gathering for dinner, I lit the candle and it soon became quite the topic of the conversation over dinner. My friends loved the scent (black pepper) and the look of the candle. We started carrying the 2oz candle, but have since expanded into the personal care products as well. It makes a nice “add on sale” to combine a candle with the lotion in the same fragrance. Dollars speak volumes, and Mixture is one of our top selling vendors! 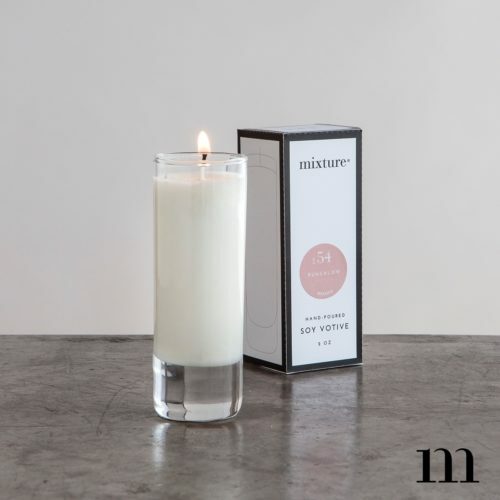 Customers return after trying the Mixture candles and want to buy them for their friends and family. We order 3-4 times a month, every month. Most customers have their favorite scents and we make a point of keeping those scents in stock for them. It’s a “fish frenzy” at the Mixture table… several customers all talking about their favorite Mixture scents and sharing their opinions with fellow customers. It’s fun to watch. We love when a company does most everything right. Mixture does that. They have a great product line that SELLS really well. They take care of their retailers. They understand that this is a partnership. We love them for that. Mixture is proud to be carried by thousands of local retail partners all over the country. If you want to try Mixture products, we encourage you to try and find a retail partner near you and shop local!